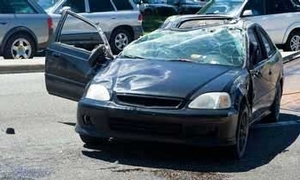 Auto & Truck Negligence | Tampa Insurance Defense and Litigation Attorneys | Metzger Law Group, P.A. The attorneys of Metzger Law Group, P.A. auto negligence practice handle any variety of automobile or trucking accidents, ranging from the most minor fender bender accidents, to more involved hit and run pedestrian accidents, to more complex multi-vehicle accidents, trucking accidents and motor cycle accidents. Whether the claim involves a simple soft tissue injury, or is a more complicated catastrophic injury or wrongful death case, we can effectively and efficiently handle your defense. We have vast experience in all nature of claims, first party, third party, underinsured and uninsured claims. Our attorneys are well versed in motor vehicle regulations, trucking record retention and licensing requirements and the Federal Motor Carrier Safety Administration. Our vast experience and depth of knowledge set us apart for our competition. Contact our offices, conveniently located in the Tampa Bay area, for more information or a consultation.